The merger of advertising industry giants Omnicom and Publicis in July 2013 was a defining moment in the industry. The size and scale of the deal made it a mainstream business story, and one that the media were keen to cover. Velvet client Results International, a leading M&A specialist in the marketing comms and ad tech sectors, was not involved in the deal, but was keen to demonstrate its expertise and be associated with coverage of the merger. As with many large corporate deals, the actual event was preceded by rumour…over a weekend, and at the height of summer. And the media were hungry for ‘news’. Before these rumours were public, Velvet’s MD Jo Sensini was contacted by a key journalist asking whether Results International had any comment to make. Velvet immediately contacted Results managing partner Keith Hunt, briefed him on the developing story and drafted a comment to be shared with Velvet’s network of media contacts. The aim was to respond quickly, positively and intelligently so Results became the commentator on the deal, at the expense of its competitors in the M&A sector. Jo Sensini acted as a key lynchpin between our client, Results and the business and trade media, developing comment for approval and sharing it with the growing number of journalists covering the story. Results’ position as an authority on the advertising industry and the world of M&A was cemented, with the media encouraged to contact several senior personnel directly over the course of the crucial weekend. Quick thinking by Velvet resulted in several videos being produced, featuring Keith Hunt’s thoughts as details of the deal emerged, so adding another dimension – and additional content – to the mix. Top quality coverage quoting Results International spokespeople appeared across the mainstream broadsheet press, leading trade publications and broadcast media including CNN and Bloomberg. The Guardian and The Times ran extensive pieces, as did Campaign, The Drum and most marketing/media trade publications. 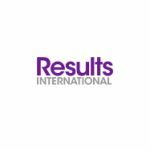 Importantly, Results International were the only M&A firm quoted in relation to the story, locking out its competitors. Following the story appearing, Results took a number of calls from a number of marketing business owners keen to discuss how Results could help them realise their growth potential.